You have one chance to make a first impression. That’s why Cynthia Sanchez of OhSoPinteresting.com suggests we change the cover on our Pinterest boards. Pinterest is such a visual medium that if you want to attract followers, even the covers of your boards need to be appealing. Choosing an image that reflects the content of the board – and hopefully a bit of your personality – is vital. The above image is a screen capture of some of my Pinterest boards. As you can see, even without looking at the title of the board you get an idea of what that board is about. In this video Sanchez walks you through the process and shows you want she means. Do you have a Pinterest board with a great cover? Share a link to it in the comments. 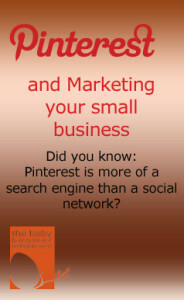 Still on the fence about Pinterest as a business tool? This strategy from Joan Stewart, aka the Publicity Hound, is simple and frankly brilliant. Her Pinterest board 50 Free Publicity Tips includes simple graphics, each with a tip for publicity. All the pins are the same, with only the number and tip changing, so there’s very little work on Joan’s part. Once she uploads the pin to her board, she includes a link back to a blog post on the same topic. She’s getting tons of traffic to her board, tons of repins AND she now ranks #1 in Google for the term “free publicity”. And she’s not completed all 50 tips yet. Watch the video to see more detail on how this works. Do you have a Pinterest Board you want to share? Include a link to it in the comments below. As I’ve said before, Pinterest is a great tool for driving traffic to your website. It’s already the second best referral source from social media for my site, only below Facebook. And I truly believe if I put more effort into my Pinterest marketing the results would be even better. That’s why I was pleased to find this video by LuSundra Everett. She shares some tips for Pinterest SEO, at least on of which I didn’t know about yet. The first is obvious – use important keywords in the titles of your boards. The next is to use hashtags in the descriptions of individual pins – watch the video to see how that works. She also reminded me to include a call to action in the descriptions – this is something I’d been neglecting to do. If you have some tips for improving your Pinterest SEO please leave a comment below. I’d love to hear from you. Like just about every social media site I use, when I first heard about Pinterest I thought it was fun to use, but was kinda stupid if you’re in business. But as I’ve written in recent blog posts, I’m experimenting with Pinterest. What really caught my attention was a podcast I heard where it was mentioned that Pinterest is trying to position itself as a visual search engine, not a social media site. Looking at my Google Analytics today, I see that Pinterest is second only to Facebook of the social media sites for driving traffic to my site. Google search still drives more traffic, but Pinterest and Facebook have a much lower bounce rate (the number of visitors who leave after viewing only one page). Since I promised to share more information about marketing with Pinterest, here’s a slide show I found with tips for businesses on Pinterest. Let me know what you think. 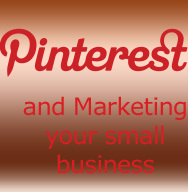 Pinterest Marketing: is it a good idea for small business? 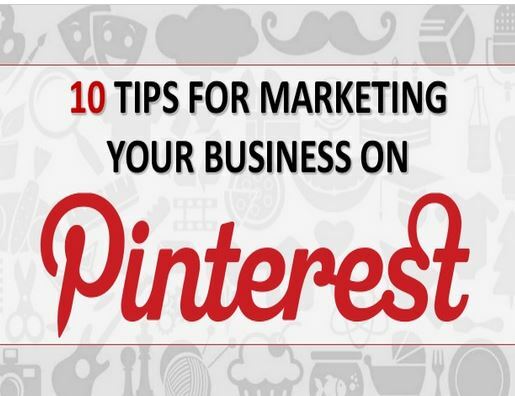 As a marketing expert I jumped onto Pinterest fairly early so I could advise my clients. I found Pinterest to be fun – addicting even. More so than even Twitter or Facebook, I found hours disappeared as I looked at pins, repinned and just plain wasted time. But does Pinterest have a business use? I really couldn’t see it and was telling my clients just that. Then I discovered the Oh So Pinteresting blog and podcast by Cynthia Sanchez. She completely changed my mind about this site as a business marketing tool. According to Sanchez, Pinterest doesn’t see itself as a social media site! What!?! If it’s not a social media site, what is it? That blew my mind until I thought about how people I know are using Pinterest. People I know (other than social media marketers) are using Pinterest to search for instructions on how to do things – instructions with images to walk them through the steps. Sanchez refers to them as “Instructo-graphics”. So people are using Pinterest to search for things. Additionally, Google loves Pinterest too. Links back to your site from a Pin help with your search engine ranking. One of the keys to success is to produce interesting content (with links back to your website) that gets shared and repined. 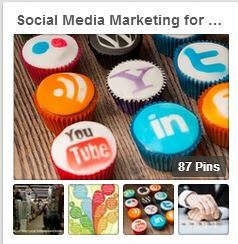 Over the coming weeks I will be experimenting with Pinterest for marketing my business. I will write about my experience so you can save time and avoid mistakes. If you are already on Pinterest, please leave a comment and include a link to your Pinterest Profile.